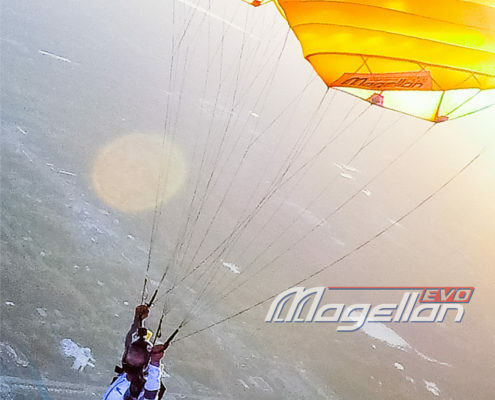 Magellan EVO – modern 9-cell semi-elliptical main canopy for pilots of medium and high level of training. 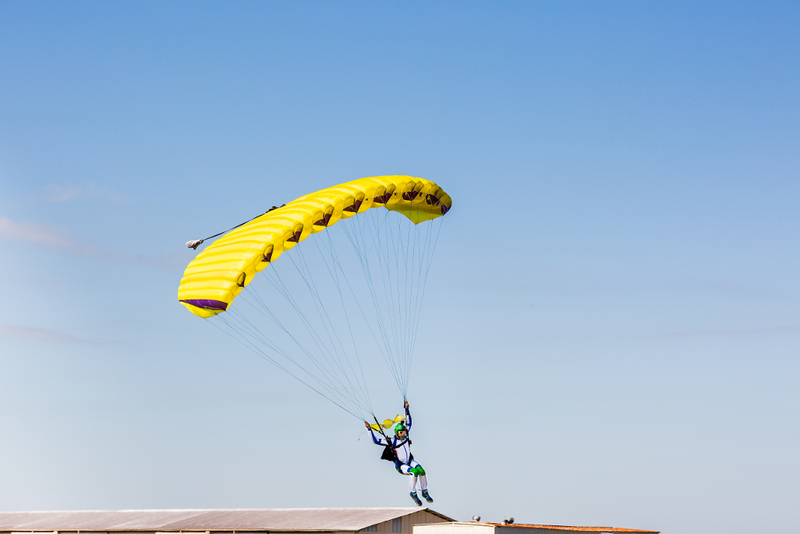 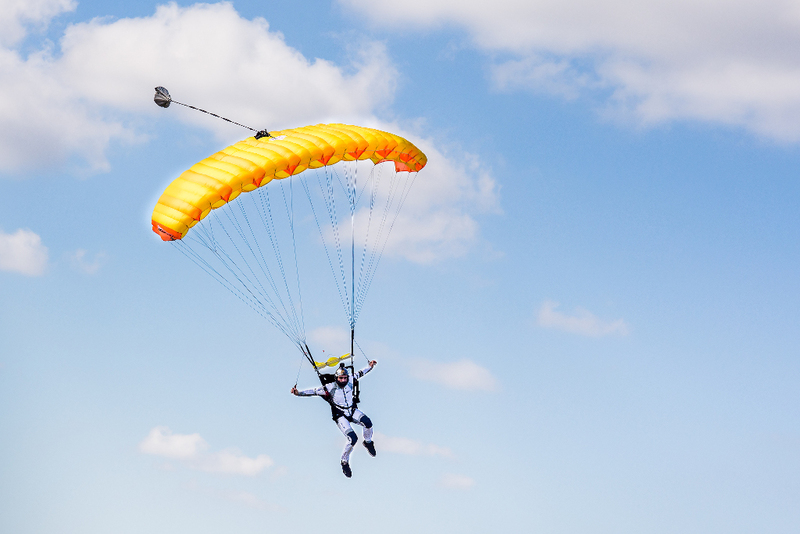 Magellan EVO – the most versatile canopy, perfect for beginners as well as seasoned canopy pilots. 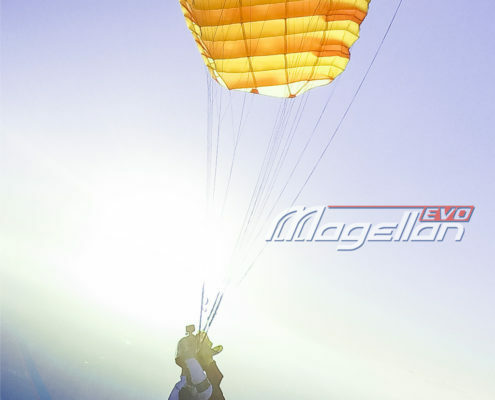 Magellan-Evo is built on THE MOST efficient 9-cell, intermediate canopy platform on the market today. Magellan has nice and soft, on-heading openings with no more than necessary altitude loss. 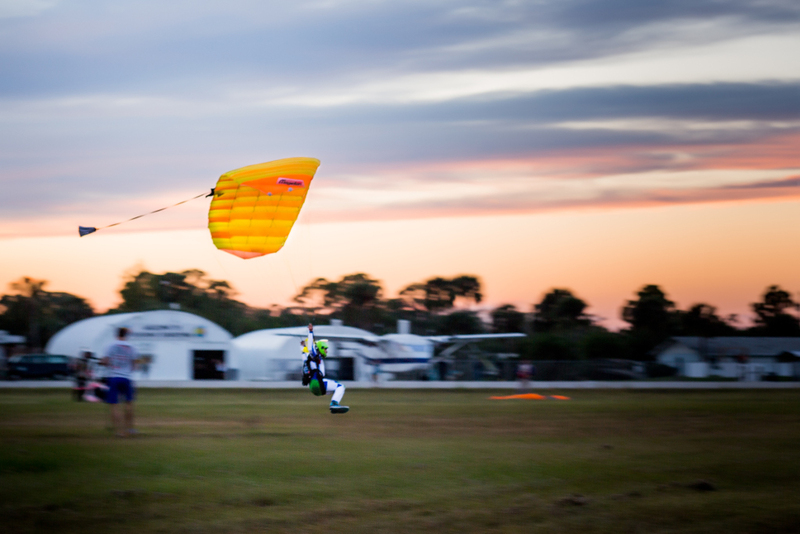 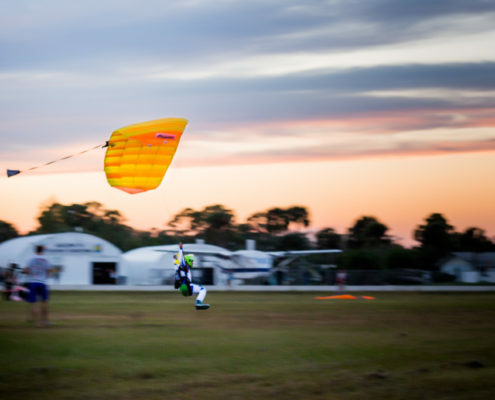 The most demanding canopy pilots will immediately notice and love light front risers, responsive rear risers and very powerful flare. 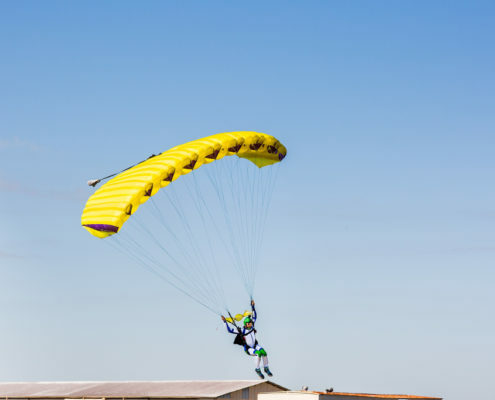 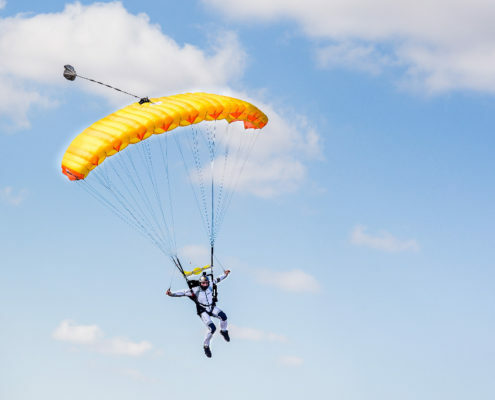 Evo platform gives Magellan unapparelled ability to penetrate into the wind, make it back from long spots and swoop like no other canopy it it’s class! 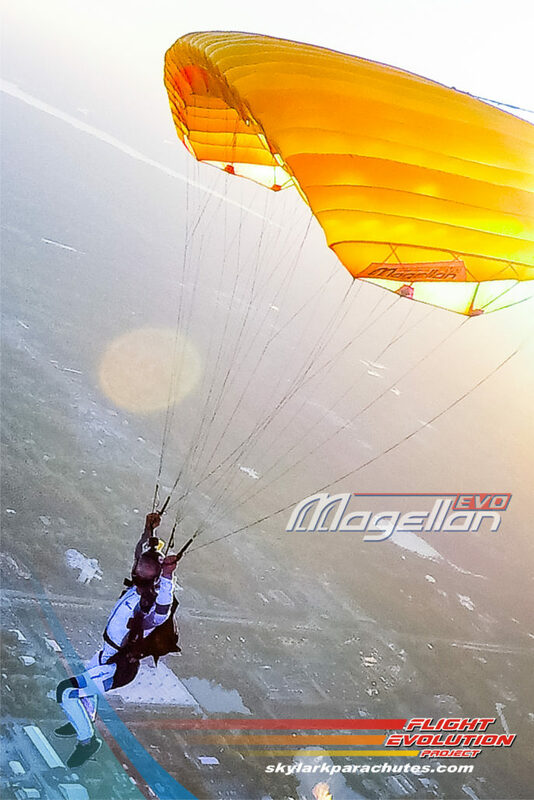 It is recommended not to exceed 2.3 lbs/sq.ft wing loading on Magellan Evo.